Leafly Mould is a professional manufacturer of APG mold, injection mold, die casting mold, stamping mold, and their molding parts. We also offer the capacity to do part designing, packaging and end-product assembly for customers. Our molding products are widely applied to the fields of electrical energy, auto accessorie, plastic toy, medical instrument, electronic communication, cleaning tool and so on. We have eighty percent of products exported to North America, European, and Middle East countries. The company culture we stick to is to make qualified products, and provide qualified services. 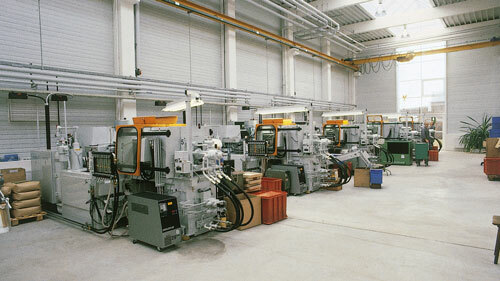 Injection molding is used in automotive, aerospace, ship-making and even jewelry fabrication. The process involves an injection machine that clamps down a mold. It then heats the mold and the material to be cast. The material is then injected into the mold under high pressure. If the mold is installed incorrectly the final product can be ruined. Often it will not inject all the way, leaving a shortened product or it will inject too much, and plastic can shoot out of the mold. Check to make sure the mold is clean and free of chips after it has been machined. Open any safety guards on the injection molding machine and put the mold into the injection molding machine. The injection nozzle on the machine must be aligned with the mold cavity. Adjust the injection pressure, clamp pressure and the volume of material to be injected (if this feature is available). The pressures and volume should have been determined during the design phase of the part and the mold. Turn on the heater to melt the injection material and to heat the mold. If the mold is heated, the material will flow through more easily without freezing and making a short part. 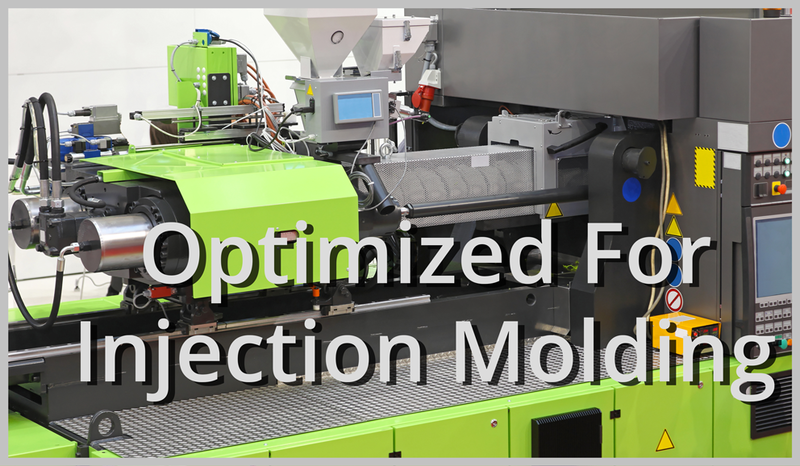 Clamp the mold with the injection molder’s hydraulics. Initiate the injection process with an injection button or other command (machines differ). If the part comes out full, the injection machine is set up. If the part is short or material leaks out of the mold, the pressures, volume and the air escape vents on the mold should be checked. Repeat this step until the part comes out full and as desired. 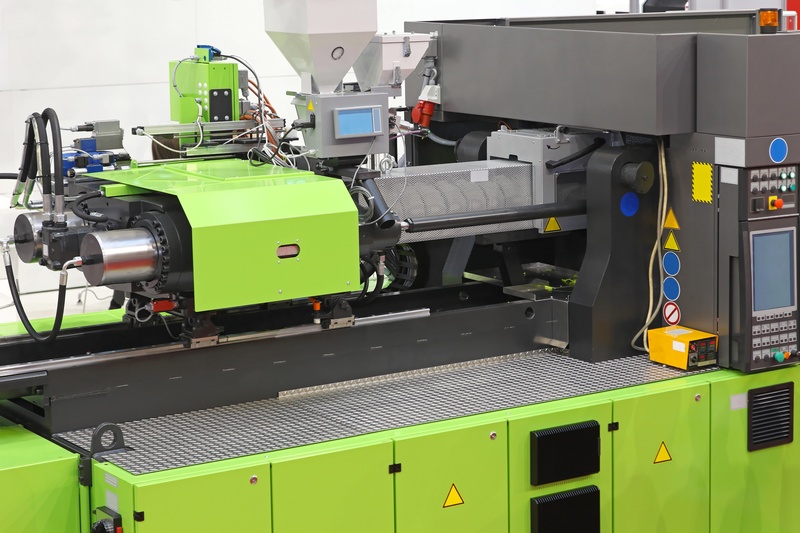 Carefully read the manual and the injection molding process specific to your machine. Work with the engineer who designed the mold so you know the pressures, volume and any other details about the part. Dress accordingly. Machine shops can be dangerous, and safety attire should be worn. Plastic injection molding is used in many industrial applications, from toys and model parts to furniture and building materials. You can practice injection molding on a small scale at home by creating your own plastic objects. A homemade mold will not be as durable as a professional one, but will give you a clear understanding of how the process works. Sculpt a figure in oil-based clay. It is available in several hardnesses at art supply stores, a medium-hard clay is good for this project. Your figure can be a toy, mechanical part, random shape or any other object that you like. Lay the figure down on a block of water-based clay and press it slowly and carefully halfway in. You want the edges of the water clay to be as close to a 90-degree angle against the figure as possible to minimize seam lines in the finished product. If needed add more clay and sculpt a good angle with a sculpting tool. Press a few bamboo skewers halfway in the clay. The skewers should each lead away from the figure, with the blunt end of the skewer touching it. These will eventually form channels that allow air and excess plastic to escape the mold during injection, leaving behind plastic sprues to be trimmed off of the finished copy. Press a stick the same diameter as the injection syringe into the clay in the same fashion as the bamboo skewers. This should be positioned in an out-of-the-way area on the figure as it will leave a larger sprue to be trimmed off. Press your thumb a quarter inch into the water clay in a few areas. This will form keys, which will fit into holes on the other half of the mold to help it line up properly. Press pieces of corrugated cardboard into the clay, forming a box around the figure. It should be at least an inch away from the figure on all sides. Notches should be cut for the sticks, which must extend past the cardboard. Tape the joints in the cardboard to prevent leakage. Spray two thin coats of acrylic enamel spray into the mold, then paint the cardboard with a thin coat of petroleum jelly as a release agent. Mix a batch of cement according to the instructions on the cement package. Pour the cement into the mold until it is an inch higher than the highest point on the figure. Allow the cement to harden for a few hours. Remove the cardboard and water clay from the mold, leaving the figure and sticks embedded halfway in the cement. Brush the cement surface with a thin coat of petroleum jelly to prevent the second half of the mold from bonding with the first. Build another cardboard box for the second half of the mold, extending a few inches above the surface of the first half. Glue the cardboard to the sides of the first half with hot glue and seal the joints. Prepare the second mold with acrylic spray and petroleum jelly. Mix a second batch of cement and pour it into the cardboard box, forming the second half of the mold. Open the two halves of the mold and remove the sticks and figure. If any of the channels leading away from the figure have become blocked with cement, scrape them clear with a sharp sculpting tool. Spray both halves of the mold with a few coats of acrylic spray to prevent the plastic from seeping into the stone. To cast a plastic part out of the mold, paint a thin coat of hand soap into it as a release agent and duct tape it shut. Mix a liquid plastic compound and pour it into the injection syringe. Inject the plastic into the mold, plugging the air escape holes with wads of clay as they begin to leak plastic. The air escape channels must always be clear every time you use the mold. If they are not you will have air bubbles and deformities in the finished plastic part. Drilling machine is a machine tool used for the process of creating holes on work piece. The drilling machines are equipped with rotating spindles on which the cutting tool called drill is mounted. The rotating drill will be fed against the work piece on which the hole need to be created. Depending up on the drilling operations performed and size the drilling machines can be mainly classified into hand drilling machines, manual drilling machines, automatic feed drilling machines, precision drilling machines and heavy duty drilling machines. Hand drilling machines are one of most commonly used hand tools for domestic as well as industrial works. Electrician to plumber, carpenters to metal fabricator everyone need had drilling machine. Hand drilling machines are normally small in size and are portable. Hand drilling machines are equipped with a drill chuck where smaller sized drills can be held. The hand drilling is mostly performed by holding the hand drilling machine normal to the plane where you are making the hole and by forcing the rotating drill into the work piece. See that you have held the hand drilling machine straight and perpendicular to the drilling face or else you are at risk of either breakage of drill or work piece. Manual drilling machines are relatively smaller in size with a fixed bed and a column on which the drilling head is mounted. The drill is held in either a drill chuck or a taper sleeve which is mounted on the spindle of the manual drilling machine. The cutting drill is fed against the work piece by applying pressure manually with the help of feed handle in vertical axis. Manual drilling machines are best suitable for small drilling works including drilling sensitive drilling jobs where you can feel the drill cutting and penetrating into the work piece. 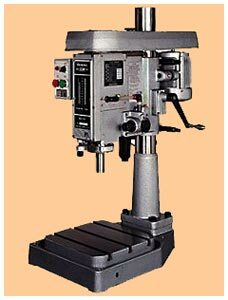 Below is the picture of a small manual drilling machine. Metal stamping or metalworking is a process where thin sheets of metals undergo different procedures such as bending, embossing and piercing in order to achieve certain images, letters or designs. Usually, metal stamping is done with a machine or a metal stamping tool. You can learn this art form on your own with just a few simple materials. Purchase metal stamping equipment. First you should have the right materials so that you can start metal stamping. There is plenty of equipment used for metal stamping. You will need a metal hole puncher, metal sheets, needle file, a small hammer, steel block and some stamps and a marker. These are some of the items you will need as a beginner. You can look for these from your local arts and crafts store or you can order a metal stamping kit online from rings-things.com or beaducation.com. Read and watch. If you purchased the metal stamping kit, you can read the instructions that came with it. These kits are mostly used by beginners just like you. They provide step-by-step instructions and tips on how you can start doing metal stamping. You can also check out online resources for video tutorials on metal stamping. This may be better since you can see how it is actually done. Enroll in classes. Check local arts and crafts stores if they offer lessons in metal stamping. It will be better for you to enroll yourself in a class if you have the time and the budget since you will be able to learn some techniques that you can’t learn from anywhere else. It is good to see how the process is done to have a good idea on how the process works. If you find that you are good at metal stamping and you enjoy the art, you can purchase more tools and invest so that you can create various pieces. Practice. The most important thing that you have to do is practice your craft. Metal stamping is not that easy. You may end up with pieces that are not perfect the first time you do it. As you practice and get used to stamping, you will get better at it. For practicing, you can purchase cheap metal sheets from your craft store and use them to practice controlling your hands when stamping. Once you get better, you can purchase better quality metals and even blank charms and pendants that you can use. Other tools. There are other tools that you can use to enhance your creations. Use the metal hole puncher to put holes on the metal sheet. You can also use different colored markers so that you can change the color of the stamped image on the metal. When you are already good in metal stamping, you can invest in more tools that you can use. You can create pendants, charms and other items that you can give as gifts for friends or another option is to open up a store or online store and sell your metal stamping creations. In business, one of the crucial decisions that managers have to make is to find the best suppliers. This decision can be difficult to make especially if you do not have access to a long list of suppliers at hand. Yet, there are some proven and time tested ways to find the best plastic injection molding companies to partner with. Here are some of those ways. Do an online search. The Internet is a treasure trove of information. Just type in the phrase “plastic injection molding companies” in your browser and it will pull up thousands of such companies for you in a matter of seconds. You can check out the web sites of these companies. On the other hand, you can go directly to more reputable web sites and conduct your search from there. Below are some online resources that you can use in your quest to find the best plastic molding injection company. PlasticsToday.com — The official web site of the magazine Plastics Today, this site allows users to search for companies in the plastic industry including plastic injection molding companies. From here you can access the Supplier Directory of “Injection Molding” magazine called IMM Almanac. You can now search for possible suppliers here. American Mold Builders Association — The association’s web site has a search feature that you can use for this particular task. All you need to do is fill out the search form at its web site. Ask your local chamber of commerce. If there are plastic injection molding companies based in your city, there is a high probability that its executives are members of your local chamber of commerce. Contact your group’s secretary and ask for such information. If you are lucky, there will at least be one in your city. Check out directories. Companies spend a considerable amount of money getting themselves listed in telephone directories. So take those dusty telephone directories out of the shelves and start scanning the pages for plastic injection molding companies. This should take about just a few minutes of your time. Aside from printed telephone directories, check out online business directories and yellow pages. YellowPages.com and Manta.com are very popular directories that will suit your purpose. You can easily search for plastic injection molding companies by city and state using these two resources. Ask for referrals. As a manager, you are probably connected with many people in your particular line of business. Take out your roll-o-deck and give some of your colleagues a call. Ask them if they know of any plastic injection molding company that you can get in touch with. If they do, ask them for feedback so you can get a good idea of how that company treats its customers. Finding plastic injection molding companies or suppliers in general becomes an easier task using the Internet and business networks. Gladly, these tools are very much on hand. Use these tools and resources to find the best plastic injection molding company that you can do business with. A stamping press is a piece of equipment people can employ in metalworking to shape pieces with the use of a die. The die can punch patterns into the metal, mold it into a specific form, or cut it to a desired shape and size. Stamping presses have an interchangeable design, allowing people to replace the die as needed for different projects. Companies can keep a library of dies around to reproduce products or make future production runs. The size and speed of this device can vary. Some models are small and relatively slow while others are quite large and capable of handling very high volumes of material per hour. Some require an operator to actually handle the metal and operate the press. Others may use robots and computer-controlled programming so no one needs to be present to run them, with the machine handling operations on its own. This equipment can be seen on the floor of facilities where people regularly have high volume metalworking needs, like car companies and tool manufacturers. 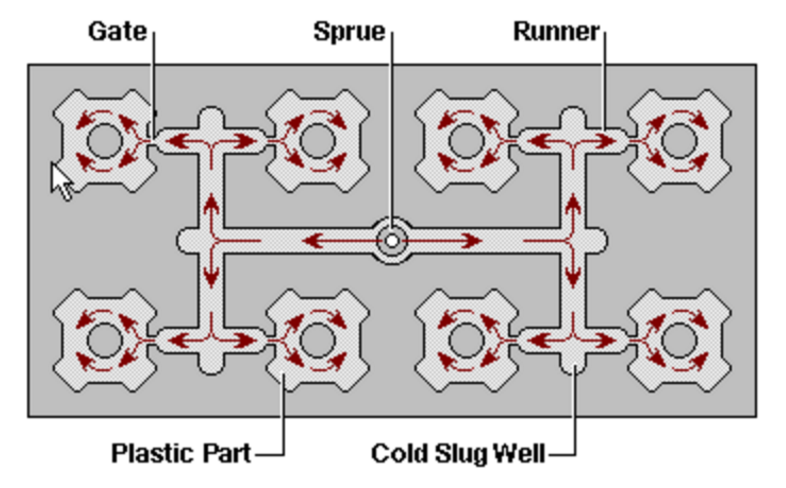 The stamping press may be able to handle cold forging as well as warm and hot production methods to cover a variety of needs. Some machines use a mechanical engine to drive the die while others rely on hydraulic power to squeeze the metal. The best choice can depend on the kind of metal people are working and what kinds of products they plan to make. The device has a number of moving parts and can be extremely dangerous. The pressure necessary to form metal is very high, and if the limbs of the operator get caught, they can be crushed or severed. It is important to make sure people observe safety precautions around the stamping press, and it is also necessary to maintain the machine properly. The stamping press should be well oiled, with all parts functioning and in place, for employee safety as well as product quality. Some manufacturers offer stamping press rentals to companies that are not yet ready to invest in buying a press, and often it is possible to buy the machine at the end of the rental, at a reduced price. It is also possible to buy refurbished presses, a good option for companies that cannot afford the market value for a new machine. Another good source for affordable stamping presses can be liquidation auctions, where companies sell off all their equipment when they go out of business. Plastic compounding is a process for adding additional materials into a molten plastic base to produce a material with desired qualities. Additives and modifiers may result in plastic with a particular color, texture, strength, and so on. A manufacturer may incorporate one or more additives into the base material in the process of plastic compounding. While the process is different in each facility depending on the product being produced, plastic compounding typically involves several basic steps. Additives in the form of pellets, flakes, or powders are conveyed to a container of a molten plastic base material. The mixture goes through a number of blending and dispersal steps to incorporate these additives into the base material and achieve a homogeneous final product. Processing may also include steps to reduce the chemical volatility of the material. Once all processing steps are complete, the material is cooled and extruded into pellets, which are then packaged for distribution or sale. Polyethylene and polypropylene are the two most common base polymers used in the plastic compounding process. Modifiers may be added to these base polymers in the form of powder or small pellets. Sometimes recycled material is added in the form of chips or shavings produced in the recycling process. Filler material may be classified as either inert or active. Inert filler material typically increases the volume of the material inexpensively without adding any beneficial features. Its primary purpose is to reduce the cost of the material. Active filler, on the other hand, is added to improve the physical properties of the material. If a filler increases the tensile strength of the base material, it may be referred to as a reinforcement. Manufacturers must take into account a number of factors when incorporating additives. Physical properties such as particle size and shape of the additive must be compatible with the base material. Even if it improves performance, an expensive additive may drive the price of the final product up too much for its target market. 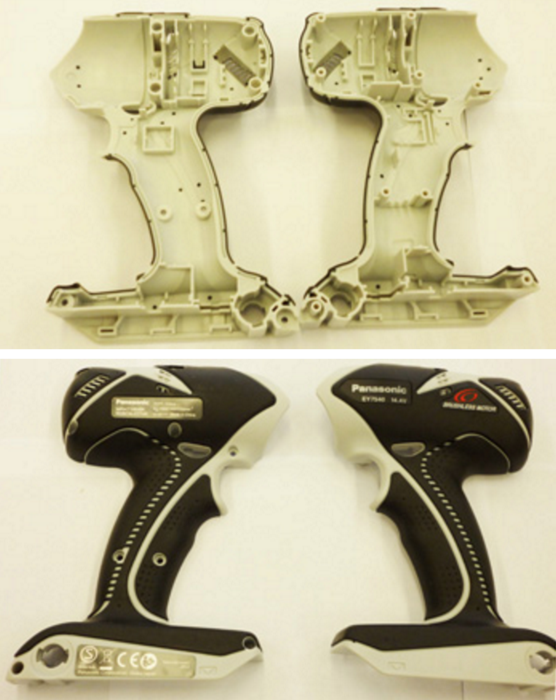 Suitability of an additive in the manufacturing environment must also be considered. For example, abrasive filler materials can degrade plastic compounding equipment, and dust from an additive in powder form may contaminate the manufacturing facility. Modifiers used in plastic compounding serve a number of purposes when added to base polymers. They may reduce the cost of the final material substantially, thereby providing an economic advantage in the marketplace. Use of recycled material as additives can reduce consumer or industrial waste in landfills and save on waste disposal expenses. Additionally, additives may improve the quality of the final product in a number of ways. Flame retardants and antioxidants may improve the safety of the material or extend its useful lifetime. Antacids may be added to a material to reduce the impact it has on the equipment used for processing. Glass or carbon fibers can increase the strength of a base polymer when incorporated into it. A wide variety of products are made with materials developed through plastic compounding. Consumer products that incorporate these materials include toys, furniture, appliances, and more. Industrial applications include use in automotive components, pipes, construction, and others. The diverse array of materials that can be created with plastic compounding ensure widespread use of this process in product manufacturing well into the future.